A slippery eel acting as Ursula's accomplice, Flotsam's gleaming eye is a channel the Sea Witch uses to spy on her victims. He has the ability to play on the desires of unsuspecting mermaids and mermen, luring them into doomed deals with Ursula. 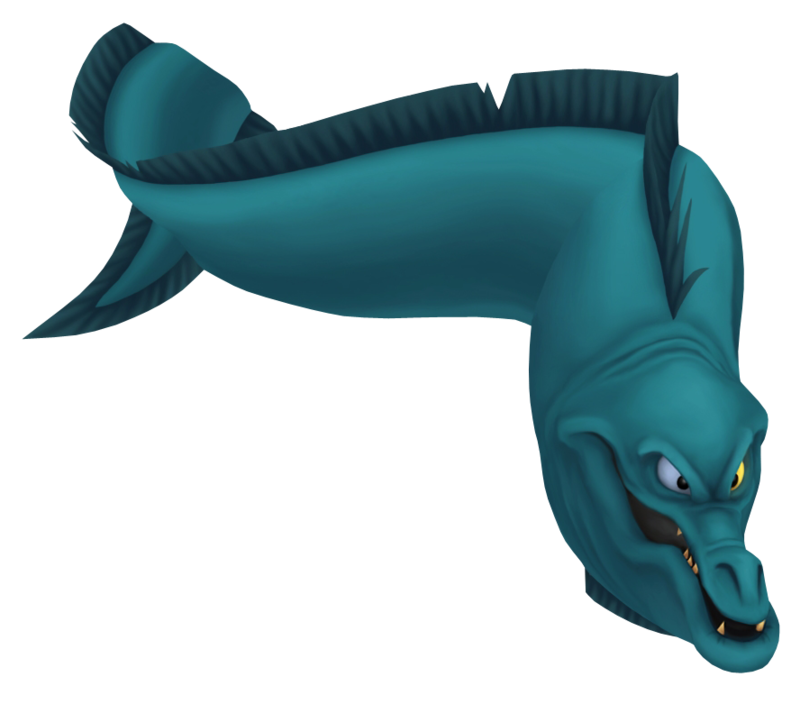 One half of a slippery duo of sneaky eels, Flotsam's left eye shines with a malevolent gleam as he tempts unfortunate souls into making bargains with Ursula. He serves as the Sea Witch's eyes and ears and is always at her side, even after death.